OH. MY. GOD….. these brownies! WOW! They are the yummiest, fudgiest, melt-in-your-mouth, rich chocolate brownies I have ever tasted and they are 100% CLEAN and HEALTHY! Oh, and they are also completely vegan, gluten-free, dairy-free, refined-sugar free and incredibly addictive! Perfect for everybody! Traditional Chocolate Brownies are made with egg, flour, cocoa and butter but NOT these ones! 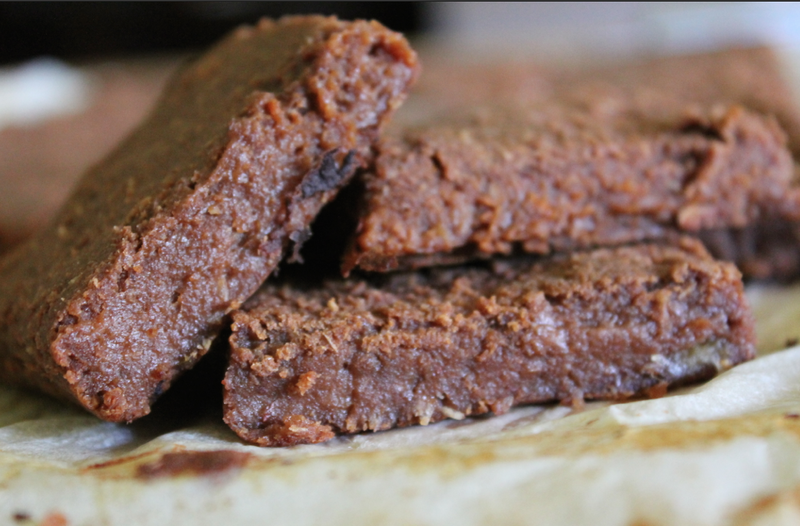 Sweet Potato acts a natural sweetener combined with medjool dates, and is an excellent Low GI substitute for eggs and butter to create a fudge appearance and texture. By using healthier alternatives like cacao instead of cocoa and almond meal instead of white self-raising flour, you automatically decrease the amount of calories and increase the nutritional values per serve, which allows you to STILL ENJOY the good things in life like chocolate, sweets and ice-cream! HOLLA to that, seriously, Why should you have to miss out when theres a healthier version? Cut sweet potato into 5cm circles and place into a steamer until very soft (20 mins). You want the potato to look a dark orange and be soft enough to mash. Add sweet potato, medjool dates, cacao into a high-powered food processor and blend until combined enough to resemble a smooth appearance. Add almond meal, arrowroot flour and coconut and blend until all ingredients are completely mixed through. At this stage the mixture should be smooth and thick. If its a little sticky, add a tablespoon of almond meal until you you’re happy with the consistency. Scoop mixture into baking tray and using the back of a spoon or pressing firmly with your palms, smooth and even out . Its important to make sure the brownie mixture is even otherwise you will end up with different thickness. Place in oven for 15- 20 minutes and when soft and spongy, remove from oven and cool for 10 minutes before slicing into squares. Make sure to join the BON family on Instagram and Facebook for more recipes like these!